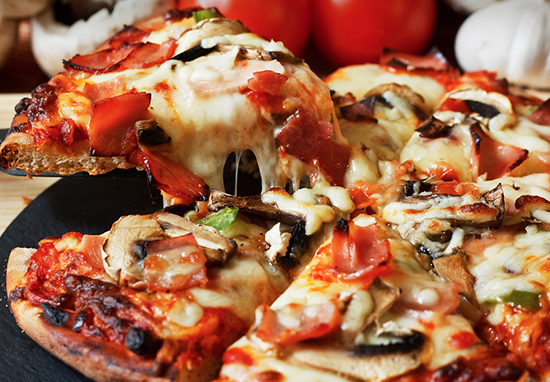 In my humble opinion, there are few tastier things in life than some cooked mushrooms nestled in the piping hot cheese of a freshly cut pizza. However, for some people, this is an abomination worthy of a tomato sauce smeared crime scene; the takeaway box cordoned off with police tape and snapped by grim faced forensic photographers. Unfortunately I am in no way exaggerating, and I wholeheartedly wish I was. Somewhere in Essex, there’s an individual who clearly feels a large slice of police time should be spent on solving their pizza delivery disasters. A jaw dropping 999 call has gone viral, where a woman with a mushroom allergy, angrily explains how she’s been ‘mugged off’ by a takeaway. She asks the operator if they can believe it. They can’t. the woman phoning 999 because she was sent a mushroom pizza instead of a chicken one is literally how dramatic i can be ? We received a 999 call from this number, is everything ok? Yeah, no, I’ve been mugged off by a f*cking takeaway, would you believe it? I rang up for a number 18, a number 18, a meat feast, but she trying to tell me ‘nah nah you’ve ordered a number eight’, I’m allergic to mushrooms so I know for a fact I did not order a number eight, right? And I’ve got a pizza sat here with f*cking mushrooms on that I can’t eat. £11.99 later and she don’t want to help me out or nothing. It’s just ridiculous. Okay, okay, what can Essex Police do for you though? I don’t even know, I don’t even know, I just want my money back. I’ve just basically been mugged off. Okay. So what you need to do is contact the pizza company and make a complaint and ask for your money back. Well, I’ve tried to do that. But she reckons she’s the manager. The operator gently, yet firmly explained, how there was nothing she could do to help pizza delivery mishaps. It’s honestly worrying how this fact even needs to be clarified. Calls like these puts lives at risk by preventing us from answering genuine emergency calls. Only use 999 in an emergency and help give us #MoreTimeToFightCrime. As ridiculous as this story is, this fungi fumer endangered lives by calling Essex police with such a trivial matter. Seriously, this is never, ever, an okay thing to do. Just pick the mushrooms off if you’re ever in the same ‘predicament.’ And send them my way!